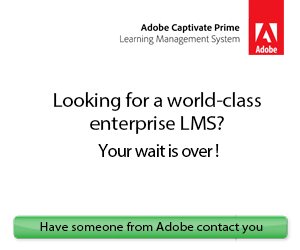 You have your personalized LMS recommendation list and you are ready to make your selection. Is there a way to use an online LMS directory to research your top LMS choices and find the LMS that offers the best value for money? An LMS software directory gives you the opportunity to conduct preliminary research and narrow down your list of potential LMS solutions more quickly. You can vet LMS vendors, review the unique selling points, and evaluate their pricing plans. But how do you get the most from this time-saving research tool to decide which products you’d like to pursue further? 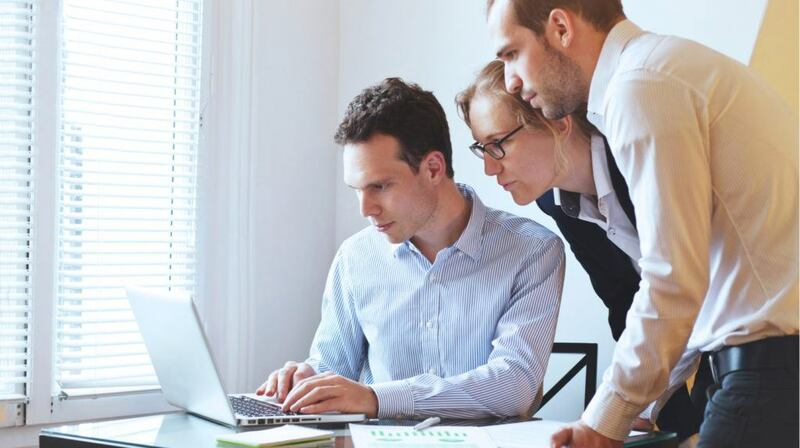 Here are 8 top tips to use an LMS software directory after LMS consulting to choose the ideal platform for your organization. The LMS consulting has already narrowed the options based on your price expectations. However, you may still want to take the time to review the LMS vendor’s pricing options to ensure they fall within your budget and offer the best value for money. For example, their list of features may not align with yours, even if they are within your price point. The LMS software directory also gives you the chance to explore different LMS pricing models, whether they offer an LMS free trial, and their starting price. All eLearning Industry's LMS directory listings include a features list, which allows you to determine if the LMS vendor offers all the features you need to get the best eLearning ROI. It covers everything from supported learning strategies and user accounts to gamification and certification management. Evaluate their selling points and determine which LMS vendor has the most items on your must-have list. Another unique feature of eLearning Industry’s directory is that it allows you to compare your top contenders. You can choose up to 3 LMS companies to evaluate side by side. If you’re down to a handful of choices, this is a great way to narrow the options. For instance, the comparison highlights the fact that one LMS vendor offers more advanced support services, while another at the same price point only has limited options, such as FAQs but no phone support. User reviews and ratings can help you avoid buyer’s regret and put your LMS consulting to good use, by choosing an LMS that suits your needs. Especially if you pay attention to the reviewers use case and industry background. For instance, a user who has the same focus or is involved in the same industry probably has similar expectations from an LMS, even if they don’t share your online training goals or objectives. User ratings can also help you delve into the LMS customer experience and usability, as well as evaluate the pros and cons for each system by analyzing the selling points that users liked best/worst about the tool. You’re able to click directly through to the LMS vendor’s site from the LMS software directory list. Which means that you can get a feel for their brand and explore other key selling points. For example, test out their support by sending them an email to inquire about their LMS product. Those who take a week to reply or lack professionalism can be crossed off the list. Their site also gives you the chance to view testimonials and demo videos, so you can make a well-informed decision. Searching the entire LMS software directory can be time-consuming. However, you can narrow your options even further using the filters. Start by reviewing the LMS vendors already on your recommendation list. Then expand your search a bit by clicking on relevant criteria, such as LMS deployment type or features. Going back to the review feature, you also have the ability to display results by ranking. For example, LMS vendors who scored high on the user satisfaction scale are at the top of the page. eLearning Industry’s LMS directory features top 20 lists where you can check out LMS vendors who offer the best Customer and User Experience. Verify if any LMS vendors on your recommendation list have made the cut. Or add to the list by reviewing the top LMS companies and seeing which ones meet your criteria. These lists offer a detailed overview of the system usability scale, perceived usefulness, and net promoter score, as well as their overall user rating score. You want to find an LMS that offers the best ROI. But let’s face it; who has time to vet all the LMS vendors on the recommendation list? Well, you do! An LMS software directory gives you the opportunity to analyze the LMS company’s background so that you can gauge their level of professionalism and expertise. Find out how long they’ve been in the industry and determine their primary customer type. You can also view their LMS deployment options and find out which browsers they support. You can also watch videos that highlight their product features and screenshots that give you a firsthand look at their platform. In addition, the LMS software directory features a summary at the top of the page so that you can quickly vet the LMS vendor. For instance, you’ll know right away that they specialize in social learning, which is a top priority for your organization. An LMS software directory features ratings, reviews, and vendor overviews. You can even filter the results to eliminate options or add more to your list. For example, include LMS listings that offer gamification support or test engines, or explore different LMS pricing options and deployment types. The list is a great starting point, but you can always build on it if your needs change or stakeholders expand their essentials. Receive your free LMS consultation to get a targeted list of LMS recommendations. Based on your specific criteria, an experienced LMS consultant will help you choose the ideal system for your online training project. An LMS software directory is a great help, but is it enough to select the right LMS? 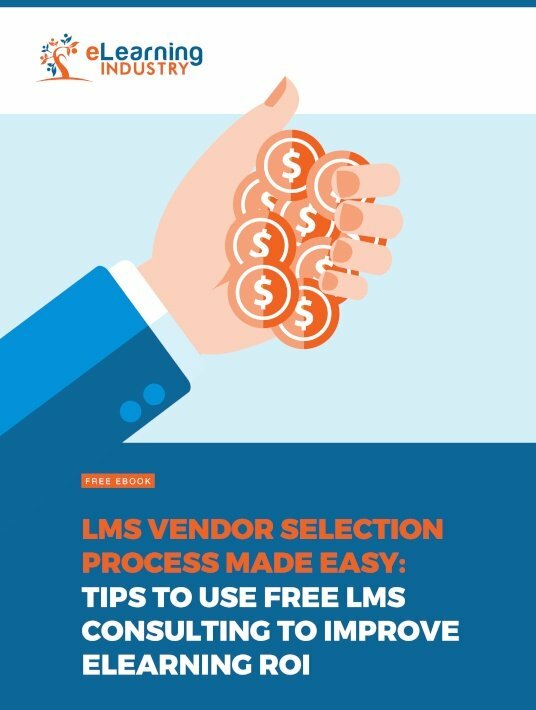 Download our free eBook LMS Vendor Selection Process Made Easy: Tips To Use Free LMS Consulting To Improve eLearning ROI to discover how LMS consulting can help you achieve the best value for money LMS, how to come prepared to your LMS consultation having your price range, number of users and essential features figured out, and many more tips to guide you through the LMS vendor selection process.